The ninja from the various villages who had gathered for the Chunin Examinations begin their road home, and life in the village gradually returns to normal. 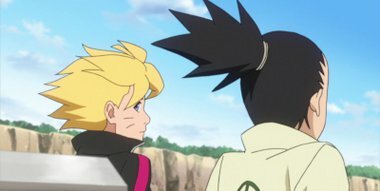 Boruto, who broke the rules in the Chunin Examination, made his apologies to everyone, and is now concerned about Momoshiki’s statement of “from henceforth you will be shouldering a cruel destiny”. What will Boruto make of this statement through all of his experience until now?